Yahoo knew it had been a target of the same kind of Chinese cyber attacks on US companies before Google raised the alert about such attacks, according to emerging reports. A source familiar with the situation told Reuters that Yahoo chose to not rock the boat, prior to Google going public about the attacks last week. Yahoo's Chinese partner, e-commerce firm Alibaba Group, said that Yahoo's comments that it was aligned with Google's position on the attacks were "reckless." 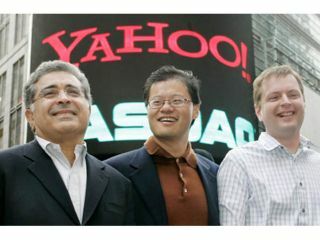 "Alibaba Group has communicated to Yahoo! that Yahoo's statement that it is 'aligned' with the position Google took last week was reckless given the lack of facts in evidence," the firm said in a statement. This despite the fact that Alibaba is 40 per cent owned by Yahoo. Security expert Oxblood Ruffin recently wrote about what he feels to be the real reason Google wants out of China on TechRadar.